Dr. Murray Baron is the chief of the Division of Rheumatology at the Jewish General Hospital, where he has practiced since 1981. He graduated from McGill University's Faculty of Medicine and, after stints as a family doctor in Newfoundland and British Columbia, trained in internal medicine at the University of British Columbia and rheumatology at the University of Toronto. He is an Associate Professor of Medicine at McGill University. a third in the use of videocapillaroscopy as a clinical and research tool in the rheumatic diseases. In addition, Dr. Brett Thombs, an academic psychologist from the department of psychiatry, has a cross appointment in rheumatology. Dr. Baron’s primary research interest is in an uncommon rheumatic disease called scleroderma. In this disease, there is fibrosis of multiple organs leading to severe morbidity and increased mortality. Because the disease is rare, Dr. Baron has established the Canadian Scleroderma Research Group (CSRG). Over 15 rheumatologists from across Canada see patients once a year and enter a large amount of data into a central database. Biological specimens, such as blood and skin, are also collected. 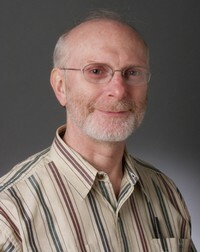 Research is performed on the data by clinical researchers at McGill and elsewhere, and on the bio-specimens at multiple laboratories that Dr. Baron has brought into his group. Since its inception in 2004, over $4.5 million dollars has been brought in from peer review agencies by Dr. Baron and his colleagues in the CSRG. More than 60 articles have been published in the scientific literature since the CSRG was formed. The CSRG, under Dr. Baron’s direction, has become a well recognized leader in scleroderma research in the world. In addition, Dr. Baron has established the McGill Early Arthritis Registry that has performed research on recent onset inflammatory arthritis. Much of the work in this area will be turned over to one of the new rheumatology recruits, Dr. Sabrina Fallavollita. He has also created CANCoRC, the Canadian Consortium of Rheumatology Cohorts, in an attempt to strengthen Canadian rheumatology research by seeking common funding and identifying commonalities across rheumatic disease research teams. Dr. Murray Baron is an internationally recognized scientist in the field of scleroderma research. His own research has focussed on ways of measuring disease activity and damage in scleroderma, as well as on aspects of nutritional deficiencies caused by the disease. In addition, he has brought in several labs to work with the biospecimens he has collected. They are working on multiple aspects of the disease, including the vascular abnormalities and control of fibroblast function. He has also played an important role in Canada’s rheumatic disease research community by creating the concept of the Systemic Autoimmune Rheumatic Diseases (SARDs) as a group that deserves attention as a whole rather than just individually. Copyright © 2017 Lady Davis Institute/Jewish General Hospital.